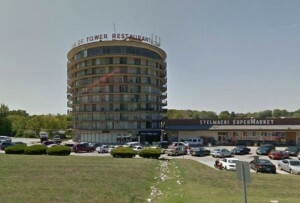 Craig Kaintz and Bill Kasalko are doing a book presentation for the Florissant Seniors Group at the James Eagan Center in Florissant on April 25, 2013. It starts at 1:00. In their new book, “Let’s Go Cruizin’ Again: Remembering More North County ‘Happy Days,'” authors Craig Kaintz and Bill Kasalko revisit the neighborhoods of their youth. In this follow-up book to the 2008 “Cruizin’ North County: Remembering Our ‘Happy Days’ in a St. Louis Suburb,” the authors focus heavily on Ferguson and Florissant. Kasalko and Kaintz will take us back with photos and memories they collected while writing their second book, from the schools they ruled to the restaurants they and their friends ate at to where you went to have a little fun. Barnes and Noble Cross Keys on June 16 from 1 to 3. Listen to Bill and Craig’s interview by Mark Ellebracht from March 28, 2012. Mark is the co-host of the morning show on WBGZ 1570am in Alton Illinois. 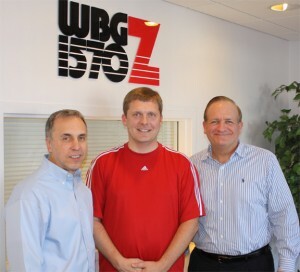 Craig Kaintz and Bill Kasalko interview on WBGZ radio station in Alton Illinois by Mark Ellebracht at 10am on March 28, 2012.